Understanding your company’s “Value Stream” is an important part of Lean Manufacturing, regardless of what type of products you are making. Today we will look at what a “Value stream” is and how do we find it amongst all that is going on in your business. Simply put, the “Value Stream” is the series of processes through your company that add value to a product for which a customer will then pay for. In many manufacturing environments the manufacturing value stream is listed in the work order or traveler – those steps that need to be done in the right order to make the product. For process manufacturing environments, it’s the process line that creates the products value. How do we find our “Value Stream”? Most manufacturing companies these days will have more than one value stream, even if using common equipment to make different products. These can be determined with some examination of the family grouping of products, understanding their routings through the factory. If you are in an industry with a huge variety of different jobs and processes, or a straight “job shop” environment, the Value Stream is still there, it is just a little harder to see. Your TXM consultant can guide you through an analysis of past sales and coming orders to help understand where the main Value Streams lie within your company. Found our Value Stream, now what? Once your main value stream has been identified we can begin an in-depth analysis of all the processes that go into this one Value Stream. We do this with a Value Stream Map (VSM). Even if you have identified more than one value stream (some companies may have more than one parallel main process) the parts analysis will help you chose where to begin your VSM activities. A VSM is the process of documenting each step of your manufacturing process. We want to include each machine or robot used, show where people interact with the product with manual processes or even moving the product from one area to the next. 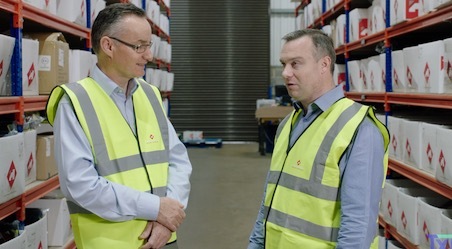 Once all of the manufacturing or processing steps have been noted, we want to look further, to both ends of the manufacturing process – what happens with the Packing and Despatch process? How are the orders received? How do the Sales department handle the customer information over to the Engineering department? While each of these steps are outside of the usual Factory boundaries, they are still part of your products Value Stream and the important part they play with the overall success of your manufacturing abilities becomes clear with the VSM process. This activity of listing all of your Value Adding steps as they are at present is what we call a Current State Value Stream Map. In our next post we will look at how we take this new tool to help us determine what our future direction will look like and where our company needs to improve. Learn about the unexpected benefits of Value Stream Mapping.